No rubbing so far with NO LIFT...seems to be tallest tire you can run without a lift and not hammering down the pinch weld. Thanks for the info this helps me to decide on my tires for next week. Ah,the link or pic is missing for this??? Take this chart w/ a grain of salt. 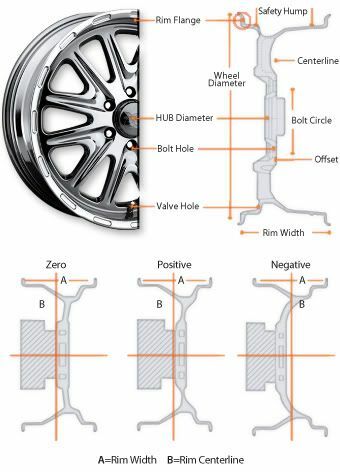 So we have to assume that this chart is for 16" wheels? For example, if we take the 215/70, that's 215mm @ 70% aspect ratio + wheel size. So, 215mm / 25.4mm/in = 8.46 inches. Then for height, 16 inches (wheel) + (8.46 + 8.46 x 70%) = 16 in + 11.85 = 27.85. If you're running a 17 inch wheel, then obviously you're going to have a 28.85" high tire. The SECOND important thing to realize is that this chart is for the BFG All-Terrain T/A KO's. This chart is irrelevant for any other make and model tire. Post subject: Still can't figure out the right size to buy? All the information is helpful, but I am still having trouble decided on what size to buy. I am pretty sure I am buying REVOs or BFG T/A KOs. However, I still can't figure out what size to get. I want to go as big as possible with no rubbing, or modifications. I have a 2.5" (advertised) life on an 04 Lib Limited. Is 245/70R16 the largest I can go? Post subject: Re: Still can't figure out the right size to buy? Is 245/70R16 the largest I can go? Try making another Topic for this posting. An important size is missing: 255/65r16. By ratios it's only as tall as the 235/75r16's but of course much wider. And, IMPORTANTLY, shorter by 1/2 inch than the 245/70r16's which everyone says fit without any rubbing. 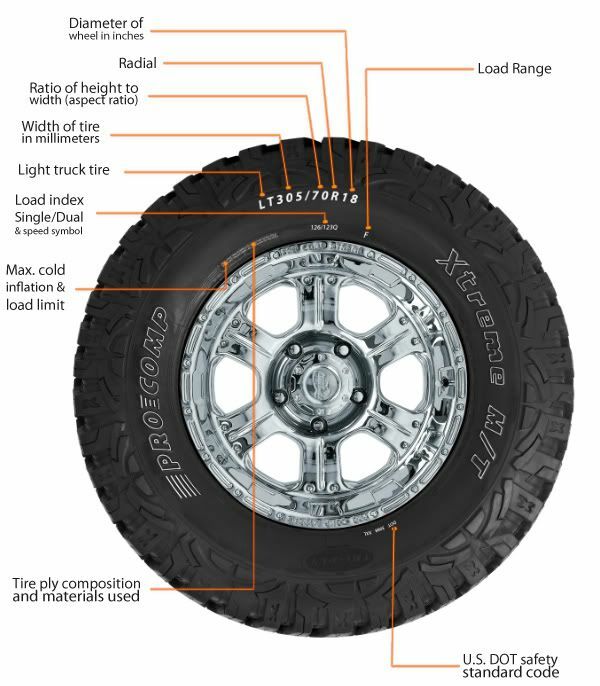 Will a 255/65r16 fit an unlifted 2005 4x4 KJ?? Big question to me as I'm trying to buy tires this next week to fit my new Rubi rims. Yeah, these are all assuming 16" wheels, which is what most liberties are. You can calculate the diameter of the tire and go back to see what the size would be on a 17" (or 15") rim. Good example, and yes, you're right, all bets are off when you try to use this chart for a 17" rim, it just doesn't apply at all. The title of the chart is misleading. I believe that somebody just used a tire size chart and added the "this fits" "this fits with rubbing" notes on the side. They didn't actually test the BFG TA/KO, I don't believe, but it's more a common tire size estimate. Different tires will have slightly different diameters, and the tread patterns can affect the size/rubbing, too. This is more of a guideline. Also, while we're poking on the chart, the 275/70R16 snuck in there, I'm pretty sure that won't fit without a crazy spacer, 265 is the max width I've heard of under a liberty. The other tires are all accurate in the descriptions of fit. Smaller aspects on wider tires are also a possibility (255/65 265/65, something like that), but those aren't often seen. Is this a useful thing to have / should I make any changes? I am new to this forum, though I've frequented others in the past. Very cool set up you all. My question is: How will wheel spacers affect the allowable tire size? I've heard pros and cons about widening the stance (added stability vs. possible damage due to adjusted backspacing). I'm thinking that the spacers might not eliminate the rub, just put it somewhere else? Any thoughts, insights, personal experiences? Chart may need an update for the '06 models...I have a Sport and a 2.5" lift with 255/70-16 BFG M-Ts and I had to do some minor trimming on the front part of the wheel well (rubbed at almost full turn) and of course had to eliminate the pinch weld cover part of the wheel well, thus I think a color of yellow may need to be there instead of the light green. AEV 3.5" RS Lift; Schrockworks FR bumper and Warn 9.5ti winch; Cobra 75 CB; Rigid 50" LED light bar; Adventure Trailers (AT Overland) JK Kitchen setup in the cargo area. the way it's worded at the moment, the green color means "no rubbing to minor rubbing". I have to say that if the only place you rub is at full turn, that sounds like minor. I personally consider minor to be the typical trimming and major to be the "I removed my wheel well" sort of trimming. Then again there are some differences between AT and MT tires that size alone just can't account for. Was the pinch weld trim required to stop the rubbing, or was it just preventative? it seems strange, since a 245/75R16 fits most people with no problem, but a tire that is 1/2" smaller in diameter would rub. Or is it only when turning sharply there as well? Next time I am home and think of it, I'll change it to yellow, but as a reminder to everyone, this is a guideline, not a guarantee. I suppose I should also change the 265/70R16 to yellow as well. will 235/75 or 245/70 fit better on a stock sport? Sorry to just totally repeat the simple question here. But I don't wanna get stuck with tires that arn't going to fit. What would be a doable replacement size for the 17" wheel and no lift installed? Nice chart, but you can add 235/85R16 to the "will require trimming" section. The Dayton Timberline MT's are 32" exactly, although I've seen others advertised at 31.7"
My opinions & advice are taken at your own risk. 2002 Patriot Blue KJ - Coming soon! I'm trying to figure out the largest tires for my 2005 Liberty Limited with 17" tires. Everything is stock (for now). I am looking at Goodyear Wrangler Armor AT that are 245/65. What are the thoughts you guys?